Visiting Sawston and looking for a place to swim? Nice choice! Don't forget to tell us how did it go. 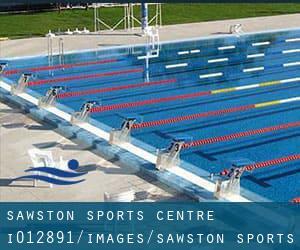 Introducing now Sawston Sports Centre swimming pool, a great swimming pool sent by a swimmer like you couple of days ago. Have you visit this pool? Do you work here? Please, contact us if you have information that you consider is gonna be helpful and recall from now on you can now promote every pool just by sharing this page with your friends or adding comments in the Facebook boxes below. Come on and aid this pool to be the first in Sawston! Among all the activities offered by the centre, if you are interested in swimming you will appreciate 18 meters, 4 lanes, Indoors. If you should contact this Swimming Pool, e-mail address and phone number are both number. Station Road , Whittlesey , England , UNITED KINGDOM (Postal Code: PE7 1UE). Among all the activities offered by the centre, when you are thinking about swimming you will get pleasure from 25 meters x 12.5 meters, 6 lanes, Indoors. Just in case you want to contact this Pool before dropping by, we only know the phone number. Updated on 2019 Harecroft Road , Wisbech , England , UNITED KINGDOM (Postal Code: PE13 1RL). Among all the activities offered by the centre, if you are interested in swimming you can take pleasure in 25 meters x 10 meters, 5 lanes, 0.9 meters - 2 meters depth, 0.9 meters - 2 meters depth, Indoors. Just in case you want to contact this Pool before dropping by, we only know the phone number. Updated on 2019 Gonville Place , Petersfield , Cambridge , England , UNITED KINGDOM (Postal Code: CB1 1LY). Swimmers like you reported 25 meters, 8 lanes, 1.2 meters - 1.8 meters depth, 1.2 meters - 1.8 meters depth, Indoors. Phone number and email address are number for this Pool. The Moor (Road) , Melbourn , England , UNITED KINGDOM (Postal Code: SG8 6EF). This sports centre gives 20 meters, 4 lanes, Indoors. Contact details for this Swimming Pool such as phone number and email address are number. Updated on 2019 Newnham Street , Ely , England , UNITED KINGDOM (Postal Code: CB7 4PQ). This sports centre offers 25 meters x 8 meters, 4 lanes, 0.9 meters - 1.8 meters depth, 0.9 meters - 1.8 meters depth, Indoors. Contact information for this Swimming Pool such as phone number and e-mail address are number. City Road , March , England , UNITED KINGDOM (Postal Code: PE15 9LT). Swimmers like you reported 25 meters x 12 meters, 6 lanes, 0.9 meters - 1.8 meters depth, 0.9 meters - 1.8 meters depth, Indoors. Unfortunately we do not have the email address of this Swimming Pool, but we can give you the phone number. Westwood Road , Saint Ives - Cambridgeshire , England , UNITED KINGDOM (Postal Code: PE27 6WU). Among all of the activities offered by the centre, when you are keen on swimming you will enjoy 25 meters x 9 meters, Indoors. Just in case you want to contact this Swimming Pool before dropping by, we only know the phone number. 21/25 Coldhams Lane Business Park , Norman Way , Abbey , Cambridge , England , UNITED KINGDOM (Postal Code: CB1 3LH). Among all the activities supplied by the centre, if you are considering swimming you are going to enjoy 25 meters x 10 meters, Indoors. Just in case you want to contact this Swimming Pool before dropping by, we only know the phone number. Green End Road , Sawtry , England , UNITED KINGDOM (Postal Code: PE28 5UY). Among all the activities offered by the centre, should you be interested in swimming you will enjoy 25 meters x 8.5 meters, Indoors. If you need to contact this Swimming Pool, email address and phone number are both number. Impington Village College , New Road , Impington , England , UNITED KINGDOM (Postal Code: CB4 9LX). Swimmers like you reported 25 meters x 10 meters, 4 lanes, 1 meters - 2.4 meters depth, 1 meters - 2.4 meters depth, Indoors. Phone number and e-mail address are number for this Pool. Bottisham Village College , Lode Road , Bottisham , England , UNITED KINGDOM (Postal Code: CB5 9DL). Among all the activities provided by the centre, in case you are interested in swimming you will take pleasure in 25 meters x 10 meters, 4 lanes, Indoors. If you must get in touch with this Pool, email address and phone number are both number. 213 Cromwell Road , Romsey , Cambridge , England , UNITED KINGDOM (Postal Code: CB1 3BA). Swimmers like you reported 25 meters x 7 meters, Indoors. Phone number and email address are number for this Swimming Pool. Bareford Road , Saint Neots , England , UNITED KINGDOM (Postal Code: PE19 2SH). Swimmers like you reported 25 meters, 4 lanes, Indoors. Unfortunately we do not have the email address of this Swimming Pool, but we can give you the phone number. On the campus of Abbey College , Abbey Road , Ramsey , England , UNITED KINGDOM (Postal Code: PE26 1DP). Swimmers like you reported 20 meters x 10 meters, Indoors. Unfortunately we do not have the email address of this Swimming Pool, but we can give you the phone number.